Vieni! 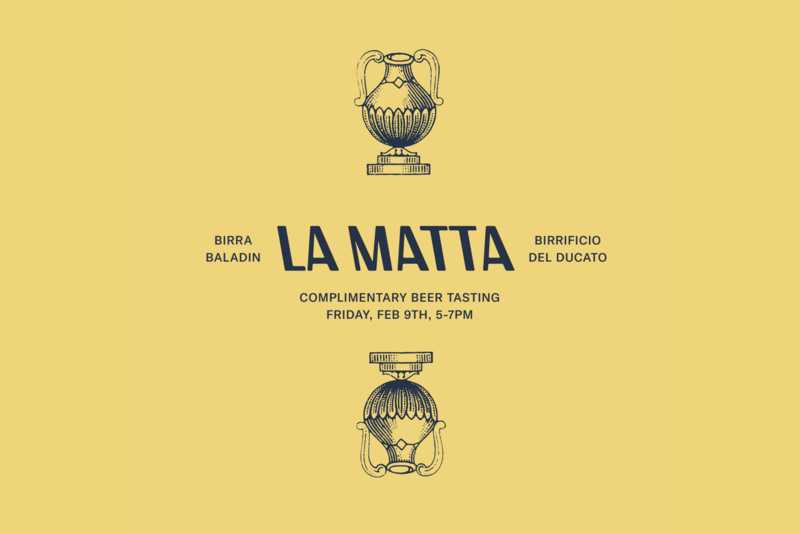 Join us for a free tasting and visit from two of Italy’s migliori breweries dedicated to the art of making all-natural craft beer, Baladin and Birrificio del Ducato. Find your birra preferita and enjoy it by the glass at special happy hour prices until 7pm. Pair it with a salumi board to share or go full Italian feast with our selection of paninis, salads and mozzarella plates. Salute! Sorry, this event has reached its max RSVPs.